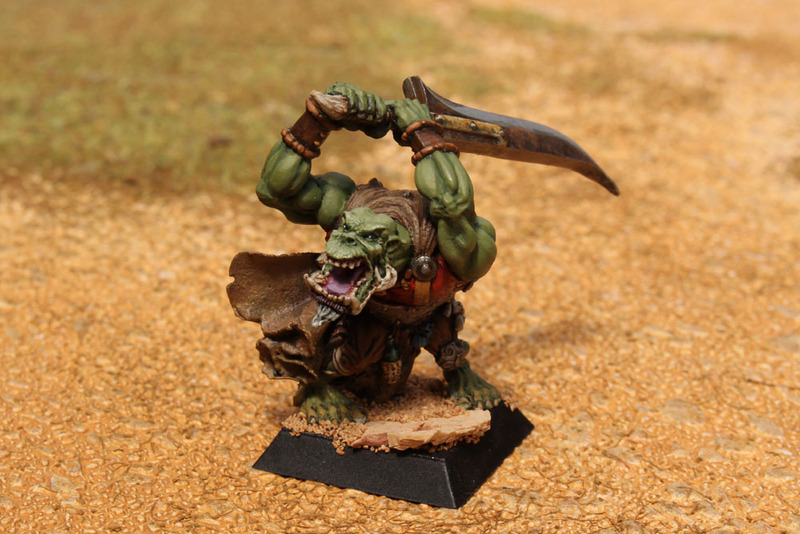 One step out of the "One true scale" world I wanted to show you an orc warrior (32mm mini) created by Rackham in the 2000s. In my opinion, Rackham produced in this scale the best fantasy minis ever. Looks to be a monstrous cruel blighter! 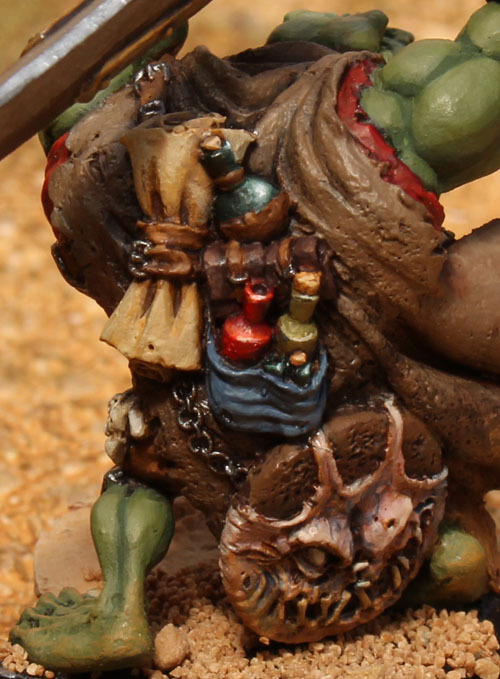 I like the details on the backpack! He do not look like to be happy as the one who have always to cut the onions. I don't know if Rackham are the best fantasy miniatures ever because it is not my thing, but I like the way this one looks now that you have painted it so expertly. Very nice paint! A bit too much action for me, in this scale I prefer Prince August's Mithril range.